A plant lamp with style can be yours! » Chili – Hobbyodling av chilipeppar! 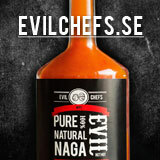 ← The Swedish Dorset Naga Challenge 2015 is completed! 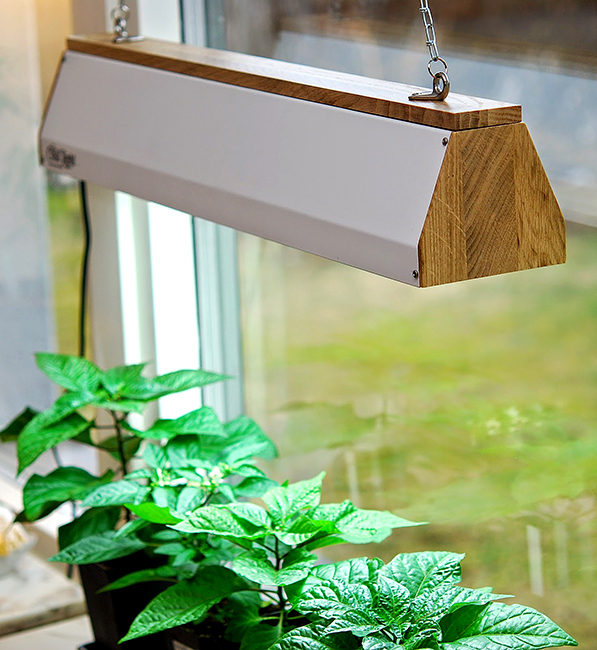 A plant lamp with style can be yours! 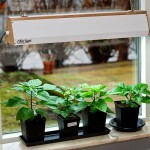 Feed my plant lighting a name and you have the chance to win a fixture in style to your window growing! 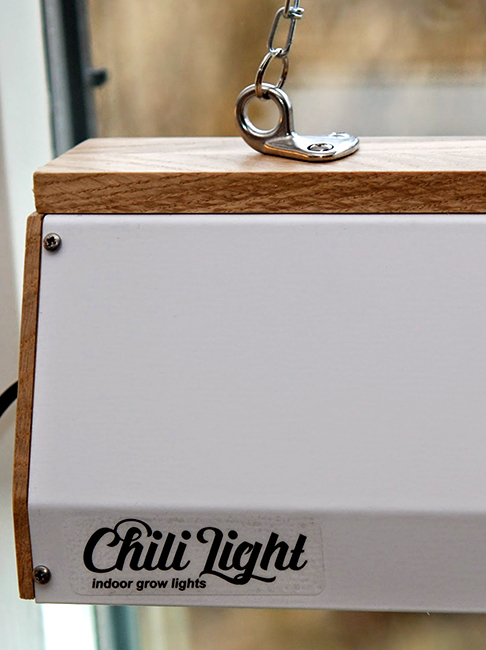 ChiliLight Window has become a very popular plant lighting. 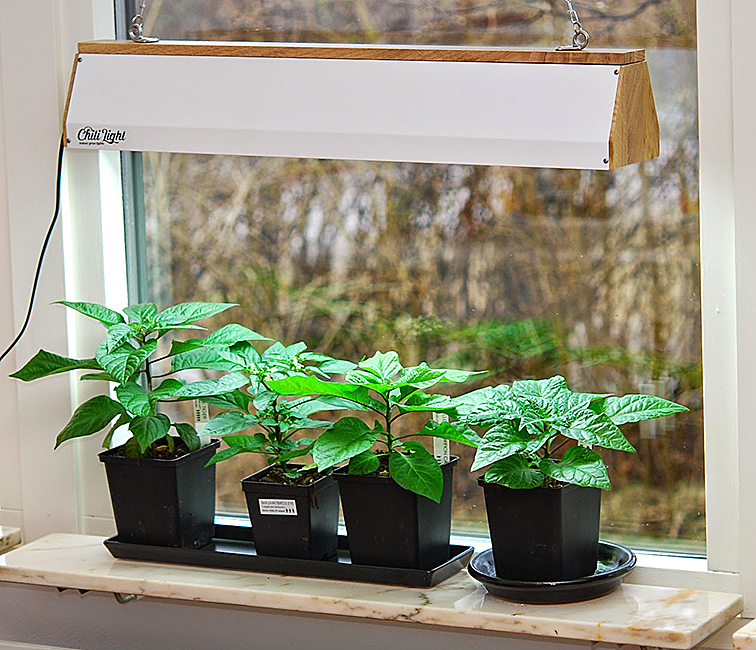 It is for those who want to grow on the windowsill and not be disturbed by an annoying glow when you sit on the couch. It is manufactured in 2 lengths 70 cm 24W and 125 cm 54W. Because this plant lighting works for all plants so it needs a new name. 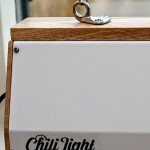 Now you have to find a name that I think fits the best chance to win a 70 cm light fixture with 24W 864 T5 HQ tube and chains for hanging. I want the name to both include something with plants, light and design for that is precisely what this lighting relays. You may use both the Swedish and the English language when you find a name. All fittings are made by hand in the plate that needs to be checked before being powder-coated in order to get a good and durable surface finish. All wooden details are in oak. Oak tree cut in strips which are then glued together and then sawed, trimmed and sputtered to get good fit. All are coated with a matte Clearcoat. 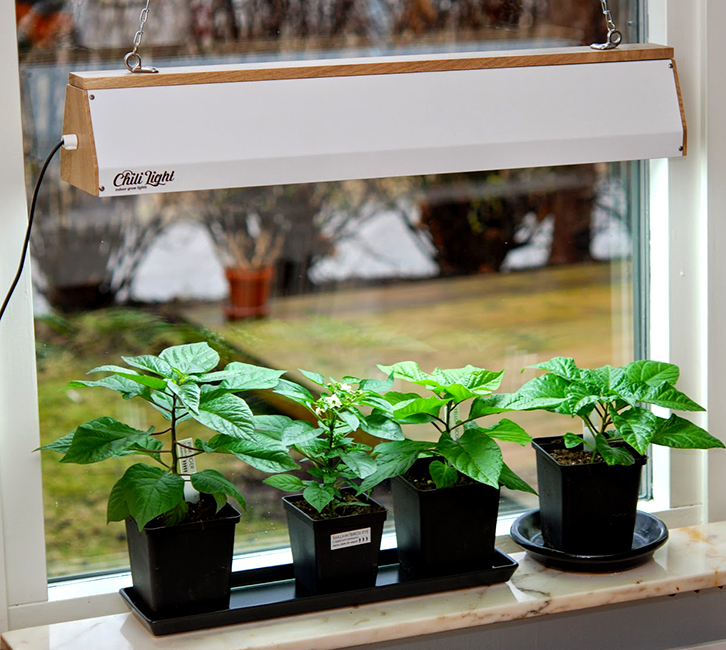 The luminaire is fitted with reflector and a modern T5 fluorescent lamps that have been shown to be one of the better when it comes to growing plants. 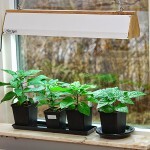 The fluorescent lamp is a standard pipe that turned out to be very good for growing plants. It's inexpensive to replace when it made its or if, for some reason, the breaks. Do you want to be in this name contest so like my page by clicking on Facebook (Like button) and share on Facebook (Share button) and type your entry as a comment. PS. The contest has ended! 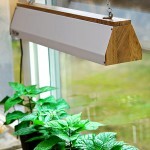 45 Responses to A plant lamp with style can be yours! I think it should be called the northern lights. My name suggestion is Style-light. What a fun competition, Here are my suggestions!